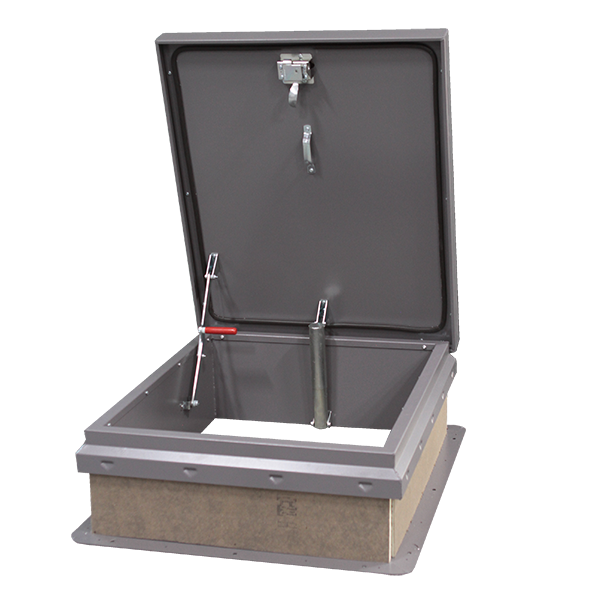 The Diamond Series Roof Hatch is designed for safe and easy roof access with higher insulation values to reduce building energy costs. 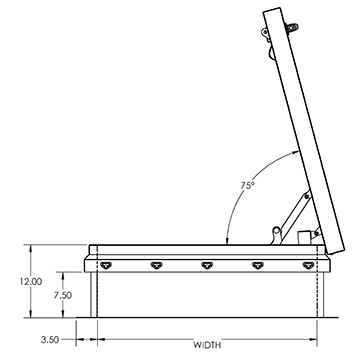 Curb: Single wall curb and counterflashing with Diamond Grip to secure roof membrane without tools. 14 gauge galvannealed steel, white textured powder coat paint. 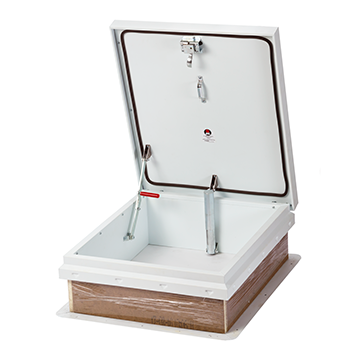 Cover: Formed and welded with liner, tested to support a live load of 40psf. 14 gauge with 22 gauge liner galvannealed steel, white textured powder coat paint. Gasket: Continuous, weatherproof EPDM sponge rubber adhesive-backed seal. Insulation: 1” polyisocyanurate in curb and cover with thermal resistance R-6. Spring: Counterbalanced compression springs contained in clear zinc-plated steel cylinders. Latch: Clear zinc-plated steel slam latch with inside and outside handles and padlock hasps. Tested to 50psf wind uplift. 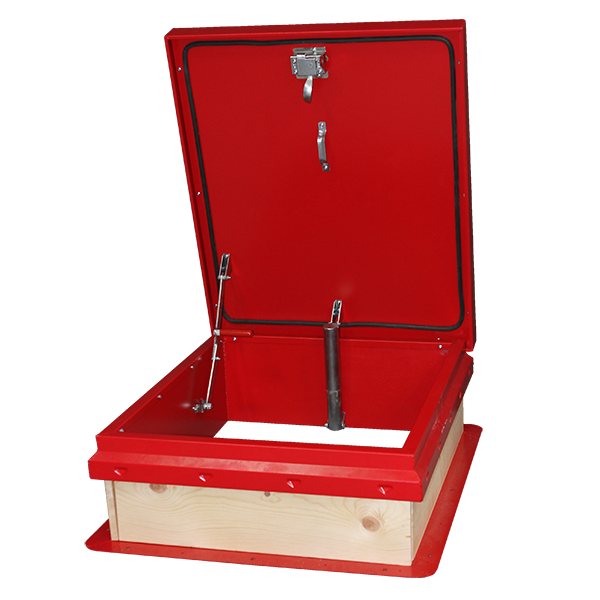 Hold Open Arm: Clear zinc-plated automatic locking hold open arm with red vinyl grip for one handed door operation. Hinge: Heavy duty clear zinc-plated steel pintle hinge. 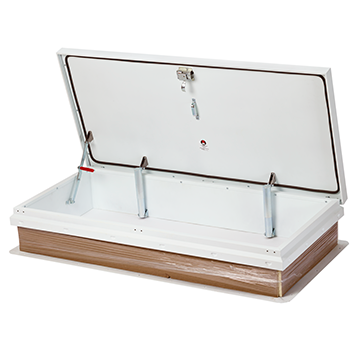 Options: 1.5" polyiso insulation, wood nailer, fiberboard, curb double wall, curb height, stainless hardware, PVDF finishes.